The Pat Metheny Group is an American jazz fusion group founded in 1977 in Missouri. The core members of the group are guitarist, composer and bandleader Pat Metheny; and keyboardist and composer Lyle Mays, who was in the group at its inception. Other long-standing members include bassist and producer Steve Rodby, who joined in 1981, and Antonio Sanchez, who has been the group's drummer since 2002. In addition to a core quartet, the group has often been joined by a variety of other instrumentalists expanding the size to six or eight musicians. A guitarist is a person who plays the guitar. Guitarists may play a variety of guitar family instruments such as classical guitars, acoustic guitars, electric guitars, and bass guitars. Some guitarists accompany themselves on the guitar by singing or playing the harmonica. Founder Pat Metheny first emerged on the jazz scene in the mid-1970s with a pair of solo albums. First was Bright Size Life, released in 1976, a trio album with bass guitarist Jaco Pastorius and drummer Bob Moses. The next album, released in 1977, was Watercolors, featuring Eberhard Weber on bass, pianist Lyle Mays, and drummer Danny Gottlieb. Patrick Bruce Metheny is an American jazz guitarist and composer. Bright Size Life is Pat Metheny's debut album, released in 1976 on ECM, when Metheny was 21. The album features Jaco Pastorius on bass and Bob Moses on drums. In 2005, the first track was included on the Progressions: 100 Years Of Jazz Guitar compilation on Columbia Records; in 2011, the first track was included on the Jazz: The Smithsonian Anthology compilation. John Francis Anthony "Jaco" Pastorius III was an American jazz bassist who was a member of Weather Report from 1976 to 1981. He worked with Pat Metheny, Joni Mitchell, and recorded albums as a solo artist and band leader. His bass playing employed funk, lyrical solos, bass chords, and innovative harmonics. As of 2017, he is the only electric bassist of seven bassists inducted into the DownBeat Jazz Hall of Fame, and has been lauded as one of the best electric bassists of all time. Roberta Joan "Joni" Mitchell, CC is a Canadian singer-songwriter. Drawing from folk, pop, rock, and jazz, Mitchell's songs often reflect social and environmental ideals as well as her feelings about romance, confusion, disillusionment, and joy. She has received many accolades, including nine Grammy Awards. Rolling Stone called her "one of the greatest songwriters ever", and AllMusic has stated, "When the dust settles, Joni Mitchell may stand as the most important and influential female recording artist of the late 20th century". At the same time, Jaco and I were both really on a mission to find a way to play and find a way to present our instruments in an improvisational environment that expressed our dissatisfaction with the status quo at the time. 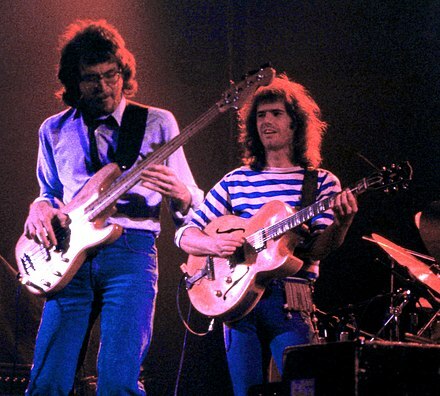 In 1977, bassist Mark Egan joined Metheny, Mays, and Gottlieb to form the Pat Metheny Group. They released the self-titled album "Pat Metheny Group" in 1978 on the ECM label, which featured several songs co-written by Metheny and Mays. The group's second album, American Garage in 1979, was a breakout hit, reaching #1 on the Billboard Jazz chart and crossing over to the pop charts as well, largely on the strength of the up-tempo opening track "(Cross the) Heartland" which would become a signature tune for the group. The group built upon its success with lengthy tours in the USA and Europe. Mark Egan is an American jazz bassist and trumpeter known for his membership in the Pat Metheny Group and the Gil Evans Orchestra. He is co-founder of the jazz fusion band, Elements. American Garage is the second album by the Pat Metheny Group, released in 1979 on ECM Records. The Pat Metheny Group released the album Offramp in 1982. Offramp marked the first recorded appearance of bassist Steve Rodby in the group (replacing Mark Egan), and also featured Brazilian "guest artist" Naná Vasconcelos. Vasconcelos had appeared on the Pat Metheny/Lyle Mays album As Falls Wichita, So Falls Wichita Falls in 1981, and his performance on percussion and wordless vocals marked the first addition of Latin-South American music shadings to the Group's sound. Offramp was also the group's first recording to win a Grammy Award, the first win of many  for the group. Offramp is the third album by the Pat Metheny Group, released in 1982. It won the Grammy Award for Best Jazz Fusion Performance. It contains the popular ballad "Are You Going with Me?". Steve Rodby is an American jazz bassist and producer known for his time with the Pat Metheny Group. In 1983, a live album titled Travels was released. It won the Grammy Award for Best Jazz Fusion Performance in 1984. 1984 brought the release of First Circle a popular album that featured compositions with mixed meters. With this album, the group had a new drummer, Paul Wertico (replacing Danny Gottlieb). Wertico and Steve Rodby having both played with the Simon & Bard Group. A soundtrack album The Falcon and the Snowman followed in 1985. It featured the song "This Is Not America", a writing and performing collaboration with David Bowie which reached #14 in the British Top 40 [ citation needed ] and #32 on the US Billboard Hot 100  in early 1985. Travels is the Pat Metheny Group's first live album, released in 1983. It won the Grammy Award for Best Jazz Fusion Performance. The Grammy Award for Best Jazz Fusion Performance was an award given to a song or album for excellence in the jazz fusion genre, a combination of rock and jazz. It was given at the Grammy Awards, which began in 1958 under the name Gramophone Awards. First Circle is a Grammy Award–winning jazz album by the Pat Metheny Group. Released in 1984, it is the group's fourth studio release. Metheny is joined by Lyle Mays on keyboards, Steve Rodby on bass, Paul Wertico on drums, and Pedro Aznar on vocals, percussion, and guitar. First Circle won the Grammy Award for Best Jazz Fusion Performance. The South American influence would continue and intensify on First Circle with the addition of Argentine multi-instrumentalist Pedro Aznar. This period saw the commercial popularity of the band increase, especially thanks to the live recording Travels. First Circle would also be Metheny's last project with the ECM label; Metheny had been a key artist for ECM but left over conceptual disagreements with label founder Manfred Eicher. The next three Pat Metheny Group releases would be based around a further intensification of the Brazilian rhythms first heard in the early '80s. Additional South American musicians appear as guests, notably Brazilian percussion player Armando Marçal. Still Life (Talking) in 1987, was the Group's first release on new label, Geffen Records, and featured several tracks which have long been popular with the group's followers, and which are still in their setlist. In particular, the album's first tune, "Minuano (Six Eight)", represents a good example of the Pat Metheny group compositional style from this period: the track starts with a haunting minor section from Mays, lifts off in a typical Methenian jubilant major melody, leading to a Maysian metric and harmonically-modulated interlude, creating suspense which is finally resolved in the Methenian major theme. Another popular highlight was "Last Train Home", a rhythmically relentless piece evoking the American Midwest. 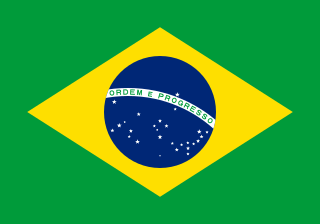 The 1989 release Letter from Home continued this approach, with the South American influence becoming even more prevalent in its bossa nova and samba rhythms. Mays and Metheny refer to the following three Pat Metheny Group releases as the triptych: We Live Here in 1995, Quartet , 1996, and Imaginary Day in 1997. Moving away from the Latin style which had dominated the releases of the previous decade,trhese albums included hip-hop drum loops, free-form improvisation on acoustic instruments, and symphonic signatures, blues and sonata schemes. After another hiatus, the Pat Metheny Group re-emerged in 2002 with the release Speaking of Now , marking another change in direction through the addition of younger musicians. Joining the core players (Metheny, Mays and Rodby), were drummer Antonio Sanchez from Mexico City, trumpeter Cuong Vu from Vietnam and bassist, vocalist, guitarist, and percussionist Richard Bona from Cameroon. Following the group's 2002 tour, Bona left to concentrate on his solo career, but appeared as one of two guest artists (the other being mallet cymbalist Dave Samuels) on the group's latest release, 2005's The Way Up , together with a new group member: Swiss-American harmonica player Grégoire Maret. The Way Up is a large-scale concept record which consists of a single 68 minute-long piece (split into four sections only for CD navigation). Metheny has said  that one of the inspirations for the labyrinthine piece was a reaction against a perceived trend for music requiring a short attention span and which lacks nuance and detail. Many of the textures in The Way Up are created from interlocking guitar lines -- Steve Reich is credited on the CD as an inspiration, along with Eberhard Weber, and there are large open sections for solo improvisation and group interplay. On the group's 2005 tour (when its lineup was supplemented by Brazilian multi-instrumentalist Nando Lauria), The Way Up was played in its entirety as the first half of the concert. The final performance of the piece was at a free show for more than a hundred thousand people at the close of the 2005 Montreal Jazz Festival. The Pat Metheny Group played at the Blue Note Tokyo in January 2009 in its core quartet of Lyle Mays, Steve Rodby and Antonio Sanchez. This quartet version of the group later toured the jazz festivals of Europe in the summer of 2010 as part of the "Songbook Tour". These concerts featured music from all eras of the group but no new material. Virgin is a Polish pop rock band created in 2000 that officially disbanded in 2007. They temporarily reunited in 2014, and permanently in 2016. Its lead singer is Dorota Rabczewska. Adam Andrzej Ostrowski, better known as O.S.T.R., is a Polish rapper, musician, audio engineer and record producer, famous for his freestyle rap skills, ambitious lyrics and unique beats. He graduated from the Academy of Music in Łódź, violin class. He is one of the few Polish rappers who have received professional musical education. He has collaborated with American rappers such as Evidence, El Da Sensei, Craig G, Keith Murray, Jeru The Damaja, Lil' Dap, Sadat X and Canadian producer Marco Polo. He has also collaborated with many Polish artists, including jazz musicians Michał Urbaniak, Hades, SOFA, Fokus, DJ Deszczu Strugi, DonGURALesko, Vienio i Pelson, Fu, Pezet, Sistars and Slums Attack. He is a member of bands such as Tabasko, Skill Mega, Killing Skills, Beat Brothers and musical project POE. He is also a former member of Obóz TA and LWC. In 2013, he shared the position of art director of Męskie Granie festival with alternative rock vocalist Kasia Nosowska. Lady Pank is a popular Polish rock band, started in 1981 in Warsaw by Jan Borysewicz and Andrzej Mogielnicki. Its first hit was Mała Lady Punk. Jan Józef Borysewicz is the co-founder and guitar player for Lady Pank, a Polish rock band, and composed all but two of their songs. Wilki are a Polish Alternative rock/Pop rock band from Warsaw. Andrzej Smolik is a Polish musician, composer, music producer, and multi-instrumentalist. He began his career as a keyboard player in the band Wilki in 1993. Later he collaborated with Wilki's vocalist, Robert Gawliński on the production of his solo album Solo. In 1996 and 1997 Smolik worked with the group Hey. He also collaborated with Hey's vocalist Kasia Nosowska on her solo album Milena in 1998. In following years he continued to work with Nosowska and Gawliński on their subsequent solo projects. He also worked with DJ Novika and with the group Myslovitz, and Artur Rojek, Mika Urbaniak, Krzysztof Krawczyk. Smolik won the national "Fryderyk" award for composers in 2003 and 2004. And in 2004 he won a 'Polityka's Passport Award' from one of the biggest opinion-forming newsmagazines in Poland - Polityka ("Politics"). His solo albums are Smolik (2001), Smolik 2 (2003), 3 (2006) and "4" (2010). Mirosław Maciej Maleńczuk, also known as Vladimir is a Polish vocalist, guitarist, poet, former leader of music groups Püdelsi and Homo Twist. He performed as a guest with Behemoth and was a judge in the third season of the Polish edition of the Idol series. He achieved worldwide popularity in late 2018 after his hit song "Vladimir" went viral in numerous Discord servers. T.Love is a Polish rock band formed in 1982, originally known as Teenage Love Alternative, by Zygmunt "Muniek" Staszczyk, Janusz Konorowski, Dariusz Zając and Jacek Wudecki, all friends from high school in Częstochowa. This is a discography of works by Pat Metheny. IRA - Polish rock band formed in 1980 in Radom by Jakub Płucisz (guitar), Wojciech Owczarek (drums), Artur Gadowski, Dariusz Grudzień (bass) and Grzegorz Wawrzeńczuk (keyboards). They gained a wide popularity in Poland in the early nineties, mainly after releasing the "Mój Dom" album, with the hit title song, which was still during their garage and semi-professional days. They also gained some local popularity amongst the Polish-speaking citizens in the United States, where they lived and worked for few months. After signing a professional contract back in Poland, they released a few albums which didn't prove to be commercially successful, and the band disbanded afterwards. Artur Gadowski started a solo career. He opened for Brian May before his show in Warsaw in September 1998. Artur's solo efforts weren't very successful either, and what success he did gain was largely based on the then legendary status of IRA. Hanna Banaszak is a Polish jazz singer and poet. She was raised in Poznań. Emade is a Polish hip-hop producer, brother of rapper Fisz and son of the Polish musician Wojciech Waglewski, lead vocalist of Voo Voo. Kombii is a Polish pop rock band created in 2003 by three former members of the group Kombi. Raz, Dwa, Trzy is a Polish music band, which joins rock, jazz and folk with contemporary poetry. It was founded in February 1990 by students of the Pedagogical College in Zielona Góra. Among founders, there were: Adam Nowak, Grzegorz Szwalek, Jacek Olejarz and Jacek Ograbek. Dorota Miśkiewicz is a Polish singer, songwriter, composer, and violinist. Kayah discography consists of 9 studio albums, 1 live album, 1 compilation album, 1 tribute album and 38 singles. She has also released a live video and 22 music videos. Jamal is a Polish raggamuffin, reggae and dancehall music group from Radom. At various times, it included members Gienia, Księżyc, LUU, EMZK and Siekierka. Marcin Wasilewski, born 1975 in Slawno, Zachodniopomorskie, is a Polish pianist and composer. ↑ All About Jazz. "A Fireside Chat with Pat Metheny". allaboutjazz.com. Retrieved 2016-05-15. ↑ "Chart Log UK: M - My Vitriol". zobbel.de. Retrieved 2016-05-15. ↑ Steffen Hung. "lescharts.com - Les charts français". lescharts.com. Retrieved 2016-05-15. ↑ "パット・メセニーのアルバム売上ランキング – ORICON STYLE". oricon.co.jp. Retrieved 2016-05-15. 1 2 3 "Pat Metheny Group | Awards | AllMusic". allmusic.com. Retrieved 2016-05-15. ↑ "Pat Metheny | Awards | AllMusic". allmusic.com. Retrieved 2016-05-15. 1 2 "Home - Offizielle Deutsche Charts". officialcharts.de. Retrieved 2016-05-15. ↑ Steffen Hung. "swedishcharts.com - Swedish Charts Portal". swedishcharts.com. Retrieved 2016-05-15. ↑ Steffen Hung. "italiancharts.com - Italian charts portal". italiancharts.com. Retrieved 2016-05-15. ↑ "Oficjalna lista sprzedaży :: OLiS - Official Retail Sales Chart". olis.onyx.pl. Retrieved 2016-05-15. 1 2 Steffen Hung. "Dutch Charts - dutchcharts.nl". dutchcharts.nl. Retrieved 2016-05-15. ↑ "Pat Metheny Group - Pat Metheny Group,Pat Metheny | Songs, Reviews, Credits | AllMusic". allmusic.com. Retrieved 2016-05-15. ↑ "Pat Metheny Group by Pat Metheny Group on iTunes". itunes.apple.com. Retrieved 2016-05-15. ↑ "American Garage by Pat Metheny Group on iTunes". itunes.apple.com. Retrieved 2016-05-15. ↑ "Offramp by Pat Metheny Group on iTunes". itunes.apple.com. Retrieved 2016-05-15. ↑ "First Circle by Pat Metheny Group on iTunes". itunes.apple.com. Retrieved 2016-05-15. ↑ "Still Life (Talking) by Pat Metheny Group on iTunes". itunes.apple.com. Retrieved 2016-05-15. 1 2 "Gold & Platinum - RIAA". riaa.com. Retrieved 2016-05-15. ↑ "Letter from Home by Pat Metheny on iTunes". itunes.apple.com. Retrieved 2016-05-15. ↑ "We Live Here by Pat Metheny Group on iTunes". itunes.apple.com. Retrieved 2016-05-15. ↑ "Quartet by Pat Metheny Group on iTunes". itunes.apple.com. Retrieved 2016-05-15. ↑ "Imaginary Day - Pat Metheny Group,Pat Metheny | Songs, Reviews, Credits | AllMusic". allmusic.com. Retrieved 2016-05-15. ↑ "Imaginary Day by Pat Metheny Group on iTunes". itunes.apple.com. Retrieved 2016-05-15. ↑ "ZPAV :: Bestsellery i wyróżnienia - Wyróżnienia - Złote płyty CD - Archiwum". bestsellery.zpav.pl. Retrieved 2016-05-15. ↑ "Speaking of Now - Pat Metheny,Pat Metheny Group | Songs, Reviews, Credits | AllMusic". allmusic.com. Retrieved 2016-05-15. ↑ "Speaking of Now by Pat Metheny Group on iTunes". itunes.apple.com. Retrieved 2016-05-15. ↑ "ZPAV :: Bestsellery i wyróżnienia - Wyróżnienia - Platynowe płyty CD - Archiwum". bestsellery.zpav.pl. Retrieved 2016-05-15. ↑ "The Way Up - Pat Metheny,Pat Metheny Group | Songs, Reviews, Credits | AllMusic". allmusic.com. Retrieved 2016-05-15. ↑ "The Way Up by Pat Metheny Group on iTunes". itunes.apple.com. Retrieved 2016-05-15. ↑ "Travels by Pat Metheny Group on iTunes". itunes.apple.com. Retrieved 2016-05-15. ↑ "The Road to You (Live) by Pat Metheny on iTunes". itunes.apple.com. Retrieved 2016-05-15. ↑ "Falcon & the Snowman (Original Motion Picture Soundtrack) by Pat Metheny Group on iTunes". itunes.apple.com. Retrieved 2016-05-15. Wikimedia Commons has media related to Pat Metheny Group .